Points of Separation Part 7 : so what now? Ever wondered what the WILL of God is for your Life? The Tree of Life – Literal, Symbolic, or Both…? The fruit we eat is the fruit we bare! Promote and Co-Author the next post! The 101 on Step 1 – HOW to let the Lord love you? The first ever post: Welcome Aboard! The most important book you will ever read...next to the bible. Really! 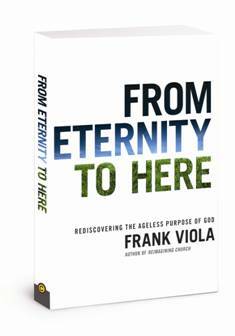 Have a listen to (or download) a summary of the book in the form of a spoken message that Frank Viola delivered in 2010 The Eternal Purpose. It will blow your socks off! You can also buy the book in South Africa for a bargain price from Loot or from Takealot.